This week, while on book tour in Canada, I guest blogged on the fantastic website 49th Shelf, a site that celebrates Canadian literature. In the spirit of giving them the web traffic they deserve, please click here for my piece on mining memories to create new fiction. 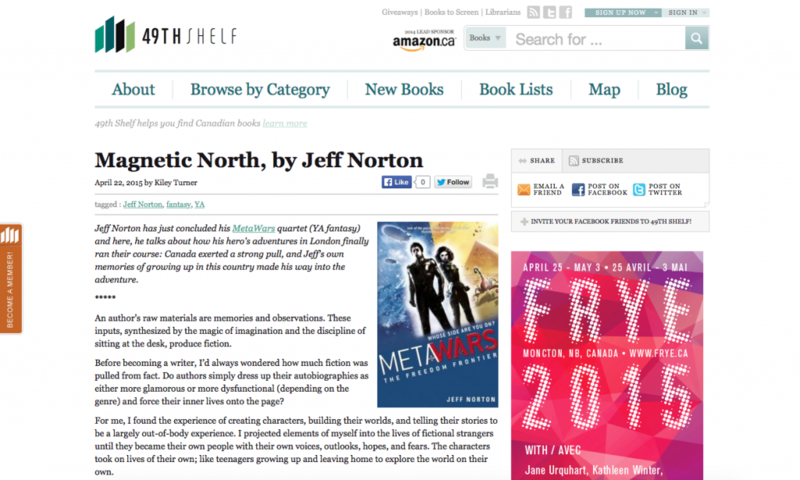 I hope you enjoy…and maybe while you’re on their site, discover a new Canadian book.